The state Destination Imagination [DI] competition is coming up on Saturday, April 13 in Green Bay. 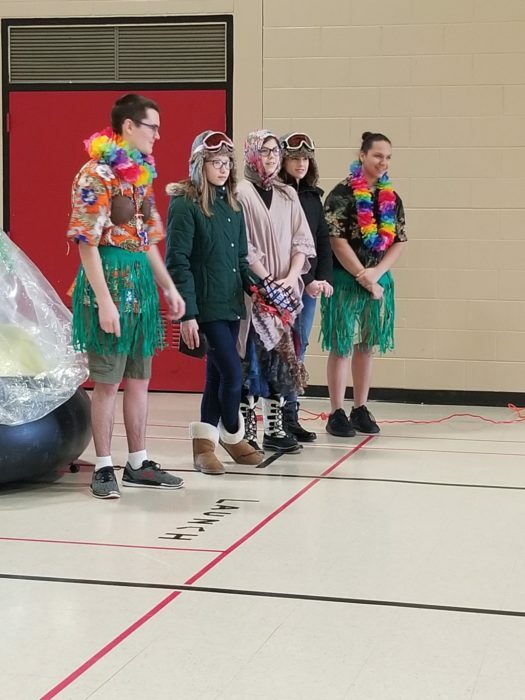 Shawano’s DI teams are preparing their performance and critiquing their script to better prepare for the competition. 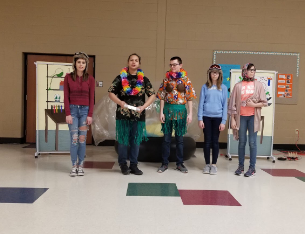 The team“Shattered Dreams” is working hard at each and every practice, trying to land a spot in the top three teams so they can advance to Global Finals in Kansas City, Missouri later this spring. “We’re pretty much just improving ourselves on everything we had prepared for regionals,” sophomore Nathan Edwards explained. The team has five members: Nathan Edwards, Quintin Fernandez, Sarah Carlson, Jenna Ainsworth and Adayla Sheldon. They got feedback from the judges at regionals, and they are using that advice to better themselves for their next performance. The team is competing in the technical division, (a division within the secondary level), which is one out of many divisions they could have chosen from, and there are many requirements within that division. At regionals on March 2 the team didn’t have any competition, and they were the only team that performed in their division. However, at state “Shattered Dreams” will be against 10 other teams. The team has many experienced members. Most students who are involved in DI have been participating for many years. Nathan Edwards has been in DI for 11 years now, while Jenna Ainsworth and Adayla Sheldon have been in it for 9 years. With a lot of experience, the team has many ideas on how to make their performance the best that it can possibly be. Even though the team had no competition at regionals, it was important that they put their best effort into their performance. The team knew they were advancing to state because of the limited competition, but they could still use the input of the judges to their advantage. They could use it to adjust their story after regionals. The team performs their prepared story, but they also have to do what is called an “Instant Challenge”. The team does not know what the challenge is going to be until they get to the room where they will be performing. “We have to do an instant challenge, and they give us some objects that we have to build something with, or create a story,” Sheldon informed. Instant challenges in the past have ranged from yoga challenges to building a bridge out of limited supplies, and the whole point of it is to get teams to think on their feet. To keep the Instant Challenge a secret, teams are not allowed to share what it was until Global Finals are over because teams could share between each other and gain an advantage over the others. Ainsworth enjoys DI and continues to come back every year.